Looking For A Dentist In Leigh On Sea? A good smile can greatly enhance your confidence and make you feel very good about yourself, but in order for you to have and maintain such a smile, you need the services of a good dentist in Leigh On Sea. Many patients do not realise the importance of doing research to fid you the perfect dentist near Leigh On Sea. Trust Hockley Dental Lab & Surgery for all of your dentist needs, we are just 10 minutes away in Hockley. We at Hockley Dental Lab & Surgery present you with complete treatment service, from restorative, to preventative and cosmetic. Some of our most popular dental treatments include cosmetic dentistry, which involves teeth whitening among many other procedures. Hockley Dental Lab general dentistry procedures involve fillings extractions, crowns, veneers and many more for clients on Leigh On Sea. We like to help customers choose their own personal dental treatment plan so they feel in full control o their teeth, but align this with professional and honest advice. Leigh on sea is one area where we have more clients than most, people visiting us simply down to the quality of our dentistry work. Contact us today to discuss fees further. Our Leigh on sea dentists are expertly trained in helping clients manage their anxiety and help the patient relax. To many patients, the thought of a dentist poking around in their mouth is quite frightening because they relate dentists to pain. This isn’t the way we like our clients in Leigh on sea to picture Hockley Dental Lab & Surgery. Our staff have excellent communication skills so that he or she can explain the dental procedure to you as the patient and reduce your level of anxiety and tension. Our dental expert can also address certain myths and beliefs that the patient may have about dentists and dental practices. Simply pick up the phone and talk to our dentist who have welcomed clients from Leigh On Sea for decades. 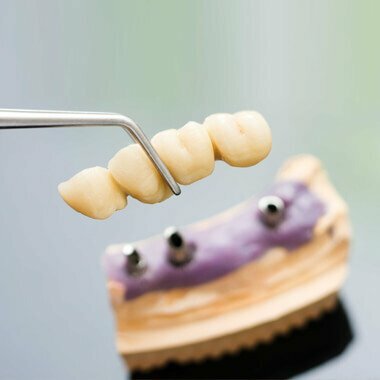 Speak to our team for dentures and dentistry. Our Advice Is Absolutely Free!